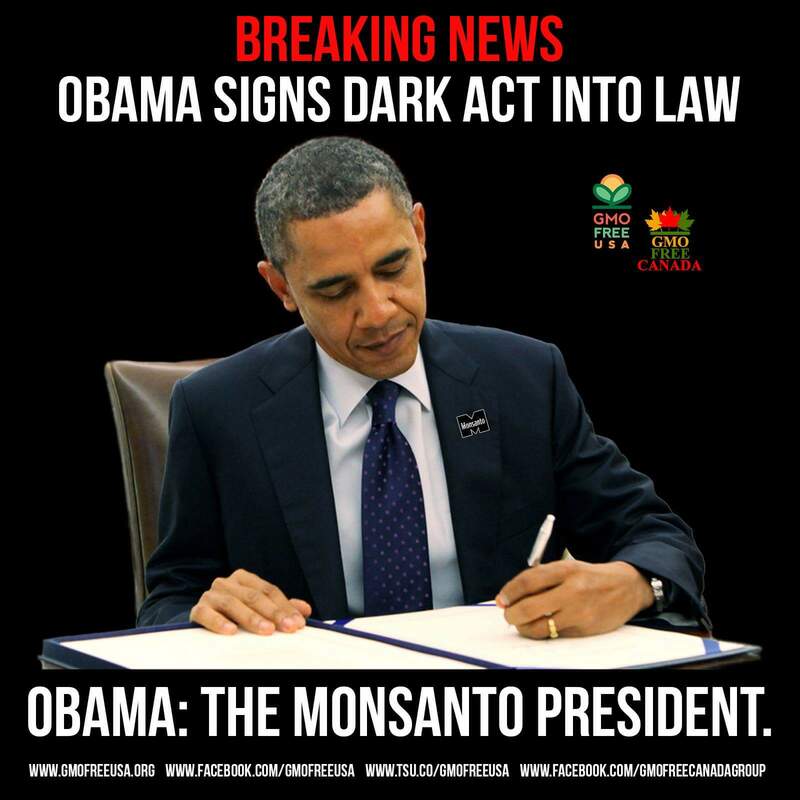 ​This president has now superceded state laws which were to go into effect very soon and now consumers will have to scan a QR code on every packaged item they purchase to know if it contains genetically modified ingredients, but there are so many loopholes in the Dark Act that tons of companies will just slip right through on this. Also, how hard is it to put a GMO label instead of a QR code? It’s not. The QR code is just another way to keep consumers in the dark about what they’re eating. Monsanto and their ilk fear that middle group – the ones who aren’t sure what GMO means or what it does to their bodies – getting info or opting out of GMO ingredients until they’ve researched it (because they know once it’s researched, people tend to avoid it like the plague). This QR code is not going to help, not to mention that the Dark Act exempts labeling future genetically modified organisms. All canola grown in the US is 100% GMO. Soy grown here is 94% GMO. Corn grown in the US is 88% GMO. Good luck finding packaged food that doesn’t contain some variation of one of the three. People, there has never been a more urgent need to know your farmer, and you can’t stop there. You have to ask what the farmer sprays on the food, how it’s grown, etc. THIS IS YOUR HEALTH AND THE HEALTH OF YOUR CHILDREN!!! Join any of the Facebook groups above to learn more about GMOs, how to avoid them, and what you can do to let others in your family know this information. This is beyond reprehensible, and it once again keeps certain members of our society from having access to information (because our elderly, low income folks, and many rural dwellers do NOT have smart phones, unlimited data packages on the phones they do have, or great cell service where they live); that information can literally save lives, and now a huge portion of our people simply won’t be able to access it. I am completely beside myself right now. This is the final nail in the coffin of democracy; our representatives are bought and paid for, and they no longer have our best interests at heart. My heart is heavy for my children and the future of all children in our country. I fear this is just the start of the denial of information for them. AAAAARRRRRGGG! So, so, so frustrating. We have a right to know what we are eating. Makes me glad that I can grow my food – but breaks my heart for those who cant.